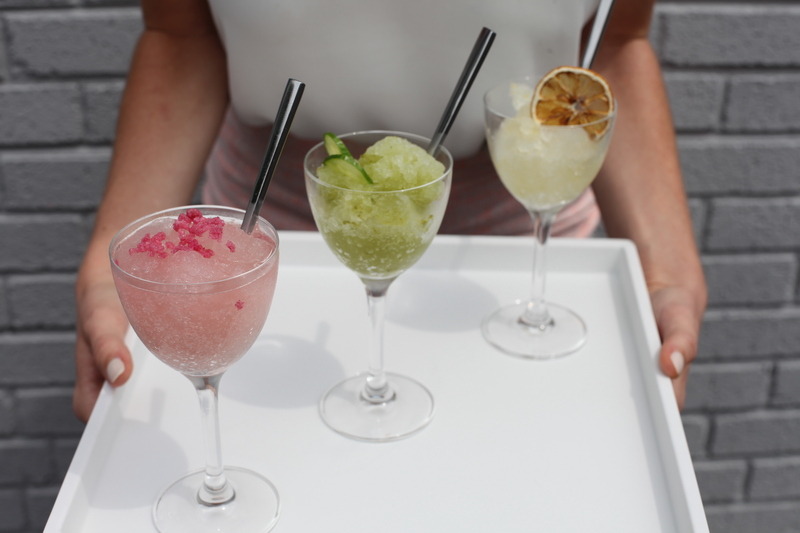 What could possibly be more fun this summer than a Granita? Nothing really. That’s why we have been spending time perfecting our favorite Summer treat with a variety of fun, colorful, and refreshing recipes that make for a perfect addition to your summer entertaining. If you’ve never made a granita, a frozen Italian dessert made from sugar, water and assorted flavors, trust us when we assure you that you’re missing out. Originally from the island of Sicily, granitas have a texture that’s grainier than sorbets and Italian ice, but finer than snow cones, and in restaurants, they’re often served as desserts or as palate cleansers in between courses. People, granitas are a Snoopy Sno-Cone Machine of our kid dreams. They’re the perfect antidote to the sticky, oppressive summer days to come — frosty, crunchy and tart — tossing out that annoying plastic crank in favor of the unbranded simplicity of two forks and a roasting pan, and swapping the unnatural syrups in frightening hues for fresh fruit juice. First up is our Frose, cause no summer gathering is complete without a little boozy treat. And for the kiddos, consider a frozen watermelon recipe that will give your event a real POP of color. 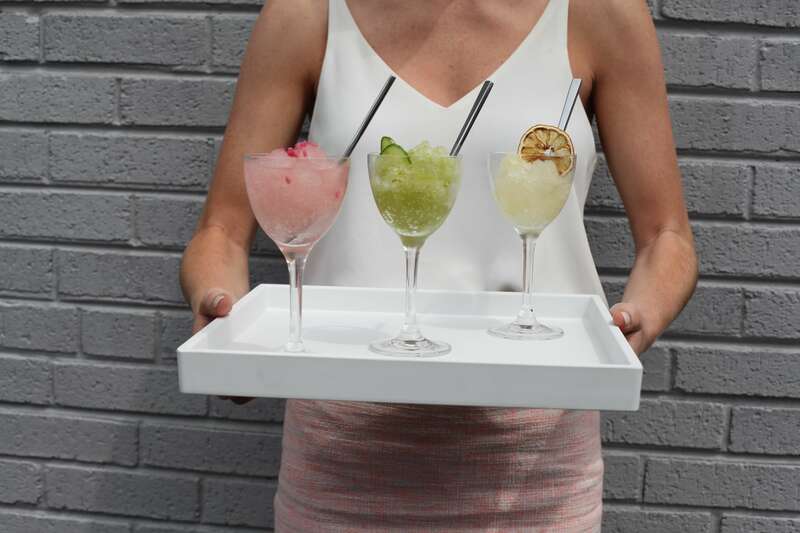 A few other summertime favorites include our Cucumber Mojito and Lemon Ginger Prosecco. These are just a few of the ways we’re taking your summer entertaining up a notch. 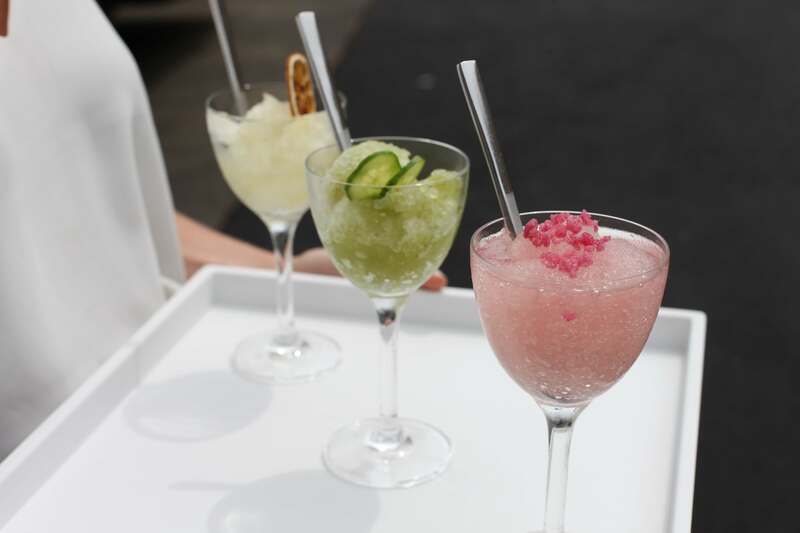 Planning a Summer event and want to consider adding in our Granita Station? We’d love to help you!